Triple Eight technical guru Ludo Lacroix is expected to join Red Bull Racing Australia at the Perth 400 as the team seeks to turn around its Winton and Pukekohe performance slumps. Jamie Whincup and Craig Lowndes have gone winless for two consecutive V8 Supercars Championship events in their Holden Commodore VFs, a form collapse made all the more stark because the team had dominated the Tyrepower Tasmania 400 in late March. Lowndes has also surrendered the Drivers' Championship points lead to Ford Performance Racing's Mark Winterbottom and five-time and defending Champion Whincup languishes in an unfamiliar sixth place on the table. Lacroix, the Frenchman who has been integral to Triple Eight Race Engineering, along with owner Roland Dane, since it first debuted in Australia as a Ford team more than 10 years ago, has overseen the design and manufacture of some of the greatest racing cars in the history of local touring car and V8 Supercars history. These days Lacroix rarely ventures to events. He attended Perth last season after some early season form issues for the team and to assist then customer Lucas Dumbrell Motorsport, but was more high profile at the Supercheap Auto Bathurst 1000 where he managed the surprisingly competitive wildcard Xbox One Commodore driven by imports Andy Priaulx and Mattias Ekstrm. "We have had two race weekends where we haven't done a good enough job so you might well see Ludo there," Dane told v8supercars com.au. "You never know, he does like WA," Dane added. But Dane warned Lacroix's presence did not guarantee a form turn around for RBRA, the winners of the last three Drivers and Teams Championships. The team yesterday extended its partnership with Holden, retaining factory backing in what is billed to be a multi-year deal. "We haven't done it yet, and we might not be able to do it," he conceded. "What you have to remember is this category is closer than it has ever been, so if you are slightly on the back foot you can actually end up completely on the back foot... you cannot afford to drop the ball at all." Dane said Lacroix would not be joined at Barbagallo Raceway by any major technical changes to the New Generation RBRA Commodores. After rushing through three rounds in a month there would only be "some refinements" to the package. "Everything is in the toolbox it is up to us to use it," Dane said. Lacroix's venture to the track comes at a delicate time for RBRA as it evolves its management structure. 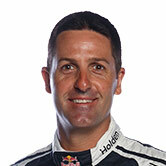 Mark Dutton has taken over as team manager and David Cauchi as Whincup's race engineer. 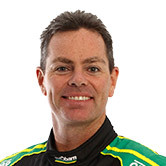 Lowndes' engineer, Jeromy Moore, has also been promoted into a more senior role in the off-track engineering structure. But Dane says actions are required. "Two race meetings where we have been average is two too many. You have got to react to it and you would be a complete idiot if you didn't. "They can do a better job and they know that, and they will do. But unless you allow them to try it, they will never know and they will never do it." Dane said both the engineering group and drivers had to share responsibility for not coming terms to the Winton track sealant issues. In New Zealand, however, he said the drivers "did absolutely the best job they could do" but were let down by power steering failures and "some absolute operational naivet" in relation to strategy calls for the 200km Race 13. "In New Zealand the key thing was our performance was not at the same standard the FPR cars were from the Saturday onwards," Dane added. "They were the stand-out two cars and they did an excellent job and all credit to them. But the reality was we were no worse than anyone else over the weekend and we should have had better results to show for it." Dane declared all leave cancelled for the team after the ITM Auckland 500, although that only affected him and Lacroix. Instead they joined three debriefs over three days that tallied 10 hours of analysis and talk time as the engineering team and drivers traced the root cause of the issues. 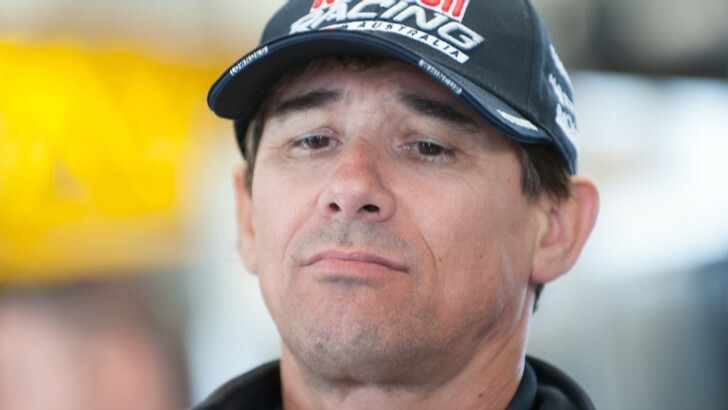 Dane revealed the Pukekohe power steering failures which cruelled Whincup's strong chances of winning the Friday race and Lowndes' Sunday qualifying, could be traced back to the hydraulic pump rather than an installation issue. "The power steering does get worked pretty hard in our cars and there has been a change of pump specification by the people we use and we haven't been across completely all the implications of that," he explained. "It's been in the car since last year but there have been some implication around that we didn't really understand. That's something that has taken us plenty of time and pain to learn." Late last week Triple Eight Race Engineering extended its partnership with Holden, part of a multi-year deal.